When it gets nice and warm outside, it’s time to start planning your family gathering. What better activity than to be escorted around town first class in an air conditioned motor coach singing songs from all your favorite Georgia artists? We embrace your family heritage and will customize family tours based on points of interests. 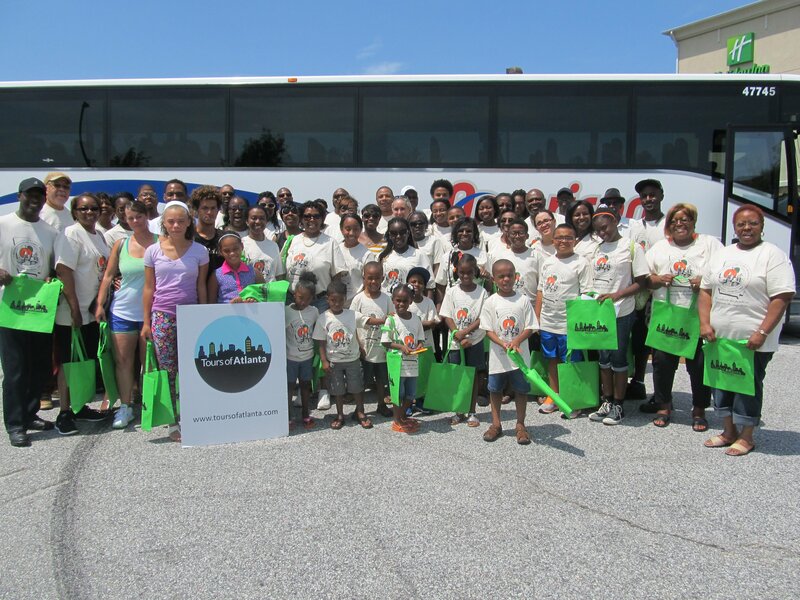 We will turn your family tour into an event! We offer music, trivia and energetic tour guides. Learn about Atlanta’s railroad beginning, to the now modern convention city. Atlanta has a rich history that includes significant historical figures and important landmarks. Let us provide your family's sightseeing tour in Atlanta!. Group Tour discounts up to 40% off our regular individual rates based on quantity. Please contact us by phone at 888-202-8687 or email info@toursofatlanta.com for a quote.